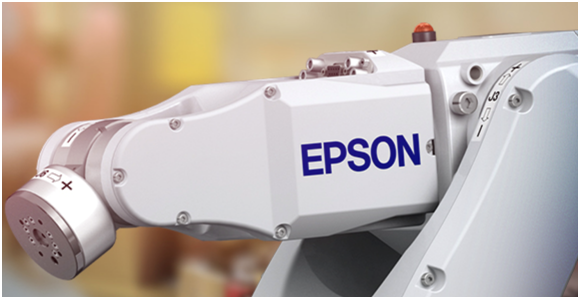 Epson Expands Award-Winning T-Series with Synthis T6 All-in-One SCARA Robot | Industry Analysts, Inc.
Chicago, Ill. – Oct. 15, 2018 –Today at PACK EXPO, Epson Robots, the #1 SCARA robot manufacturer in the world, announced the expansion of its award-winning T-series with the SynthisTM T6 All-in-One SCARA robot. The new robot offers the perfect way to automate factories without wasting time or money on expensive, complex, slide-based solutions. Available at the low price of $9,495, this innovative alternative installs in minutes and virtually eliminates any space-constraint issues. It is available now and will be showcased at PACK EXPO, Chicago, IL Oct.14-17 at the McCormick Place, booth N4704. Similar to the Synthis T3 All-in-One SCARA robot announced at Pack Expo in 2017, the T6 is ideal for simple applications such as pick and place, assembly, parts handling and dispensing applications in industries ranging from automotive and medical development, to lab automation, consumer electronics, electronic components and industrial. It features the All-in-One design with built-in controller (conveniently housed in the robot base) and power for end-of-arm tooling, runs at 110V or 220V and requires no encoder battery, minimizing factory downtime for maintenance. As a result of the T3 success, the T6 expands the line up to include payloads of up to 6kg, longer reach of up to 600mm, and the ability to handle multiple tools. The T3 won the Vision Systems Design 2018 Innovators Awards and is offered at the low cost of $7,495. This entry was posted in Epson and tagged Epson, Robot, SCARA, Synthis T6 by IA Staff. Bookmark the permalink.